Search Results for "solar eclipse 2017"
A real time view of a partial solar eclipse in 2017. A ring forms around the sun during the 2017 solar eclipse. Time lapse of August 2017 solar eclipse. People watch the 2017 solar eclipse with glasses on. HASTINGS, NEBRASKA, USA. AUGUST 21, 2017. Solar Eclipse Corona during totality. Editorial Use Only. 2017 Solar eclipse. The diamond ring formation after the eclipse is completed. 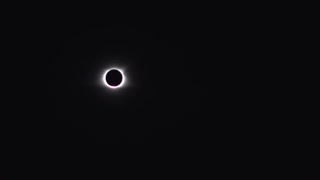 The 'Diamond Ring' effect at the end of totality during a complete solar eclipse in August 2017 as seen from the state of Oregon. 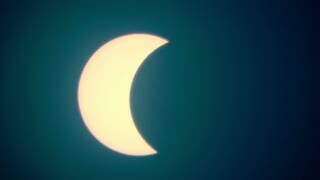 Short time lapse of the gradual progression 2017 solar eclipse before totality as the moon slowly covers more of the sun, Sunspots are visible. The 2017 solar eclipse as it forms to solar ring. Onlookers gather to watch the 2017 solar eclipse along a road in Oregon. 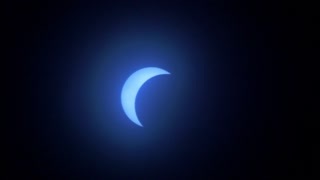 Partial world wide solar eclipse footage taken on Aug. 21st, 2017! Mountain lion the evening of the solar eclipse on August 21, 2017. Time lapse view of Mississauga, Canada on August 21, 2017 during a partial solar eclipse, where the moon blocked 70% of the sun. The city darkens and lightens naturally, no effects added or alterations made. NEW YORK CITY, USA - AUGUST 21, 2017: People kids watch total solar eclipse glasses cereal boxes. Great American Eclipse, visible entire contiguous United States passing Pacific to Atlantic coast.